Spotted in Pacific Coffee this morning: a corner shelf full of preloved books. The books are part of a city–wide sharing initiative, known also a ‘book floating‘. The mechanic is simple. People donate their unwanted books to the scheme. 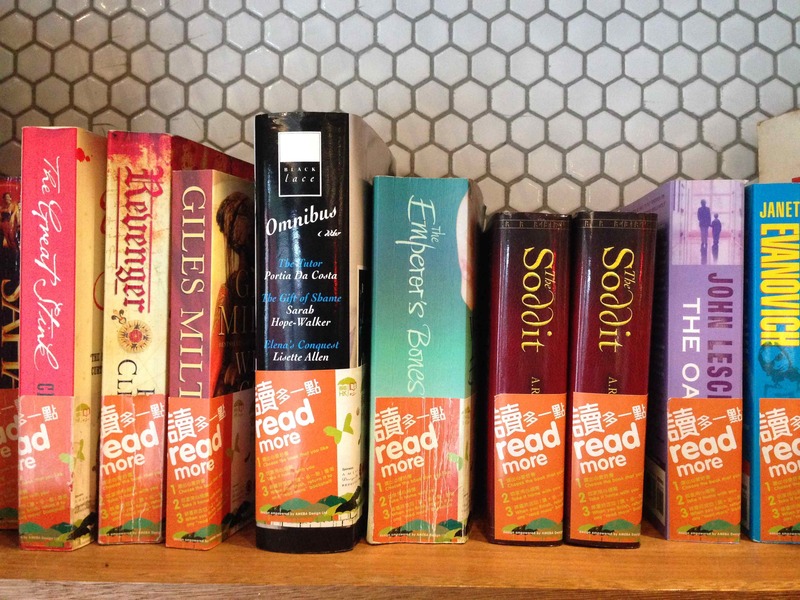 These books get given ‘Read More’ belly bands and are placed in participating coffee shops. Then, anyone can peruse the collection and take a book home to read. When they’re done it can be dropped off to any participating location. I love this initiative. The idea of using places like coffee shops as pick up and drop off points is really clever. Hopefully it gets more people reading and embracing the idea of civic sharing.